According to the experts, pisco is the world’s best grape brandy because it is distilled to proof from grape juice without adding any other ingredient. Acclaimed throughout centuries and later relegated to oblivion, pisco is making a strong comeback in the most fashionable bars of New York, London and Paris. After hundreds of years of oblivion, the legendary pisco, a spirit made from distilled grape juice, has regained its prestige as one of the world’s most complex drinks, rich in nuances and refined flavors. Pisco is one of Peru’s most emblematic ambassadors. Meanwhile, Herbert Asbury, author of the novel Gangs of New York, the inspiration of Martin Scorsese’s masterful film of the same name, describes how in the late 19th century, the Pisco Punch was the finest and most popular cocktail in San Francisco. However, after years of interest and prestige, the famous spirit was almost forgotten for nearly a century and its consumption decreased. Then, in the mid-1990s, pisco saw a rapid resurgence, thanks to Johnny Schuler, the main architect of its revival. Schuler, a Peruvian writer and owner of two major restaurants in Lima—Key Club and La Granja Azul— is also a television personality, an authority on pisco, and the founder of the Tasters Guild of Peru. A charismatic man, Johnny Schuler did not hesitate, for a second, to put forth the virtues of this aromatic, elegant beverage, which he includes in the same league as cognac or sherry. His tireless efforts to promote the heritage, culture and craftsmanship that make pisco so unique earned him the Medal of Honor by the Peruvian Congress. A strict code of production states that pisco must be extracted from fermented grape strains such as, quebranta, black Creole, muscat and Italian, and distilled in traditional copper stills. Pisco is not aged but rested for a period of three to four months before bottling. 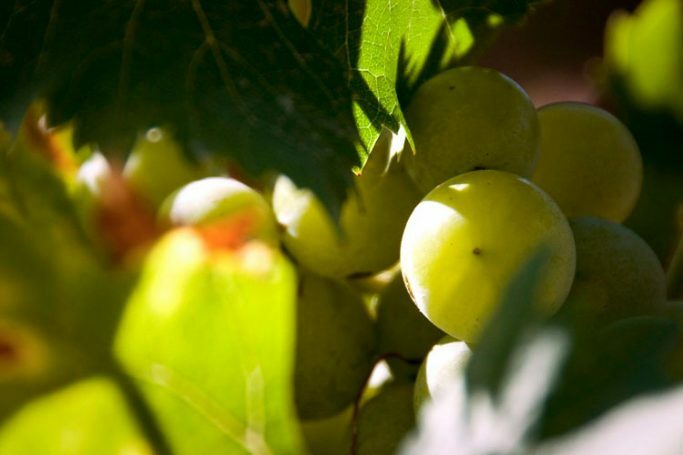 According to the experts, pisco is the best grape brandy produced in the world because it is strictly distilled grape juice, without any other ingredient. By law, it cannot be regulated or reduced by water. Unlike the Italian grappa or the Galician orujo, pisco is made from newly fermented wine. The juice is extracted by stepping on the grapes barefoot; eight pounds of grapes are needed to make one liter of pisco. Pisco production only takes place in the coastal departments of Lima, Ica, Arequipa, Moquegua and Tacna. It is controlled by medium size, artisanal companies, wineries that devote the utmost care to the elaboration processes to ensure the highest quality, often ignoring the profits because, for a Peruvian, making good pisco is a matter of patriotic pride. The Peruvian Denomination of Origin for Pisco includes more than 600 wineries. The following brands, available everywhere in the world, are regarded as the best in the market: Pisco Viejo Tonel Acholado, produced by Agroindustrial Viejo Tonel; Pisco El Comendador de Caraveli, produced by the Association of Pisco and Wine Producers of the Caraveli Province; Campo de Encanto Pisco by the firm ND, and Don Amadeo, produced and bottled by Alberto DiLaura Viccina. The best ways to enjoy pisco are neat, on the rocks or in delicious cocktails like the Pisco Sour, the latest trend in New York, Madrid, London, and Paris bars. And finally, if you are wondering how does good pisco taste, Peruvians will tell you it is the flavor of their beautiful country, but the objective truth is that it has herbal aromas, a touch of orange blossom, spices and citrus flavors, and on the palate it gives a slight and comforting bite with a hint of burnt fruit, and sometimes apple, quince and lime. Without a doubt, it is a real treat.